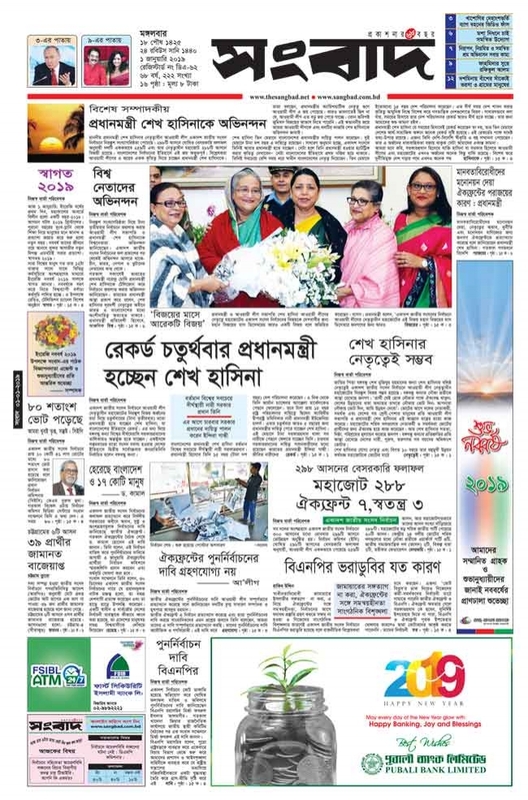 The Sangbad ( দৈনিক সংবাদ) is a Bangladeshi newspaper published from DHAKA and founded in 1951. During the 1950s and 1960s, the newspaper expressed strong views opposed to the Ayub Khan government of Pakistan and was accordingly repressed. Its offices and printing pressed were burned during the crackdown in March 1971, and it remained closed during the entire Bangladesh Liberation War. The daily sangbad newspaper publishing in the Bengali language and they're headquartered in Dhaka.